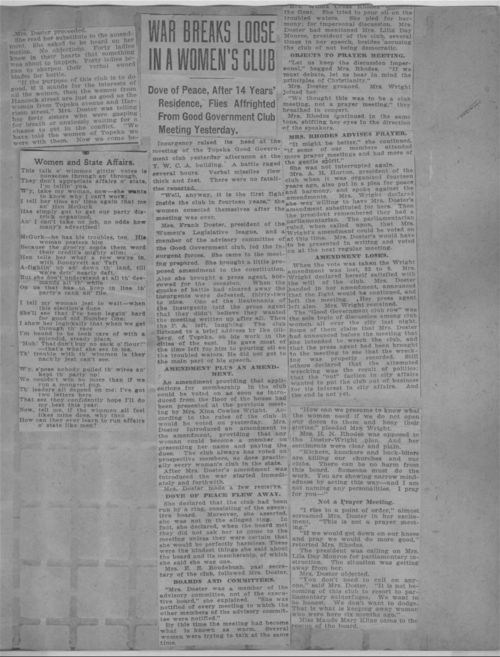 This clipping from an unidentified newspaper provides a humorous poem poking fun at Kansas men who are opposed to the women's suffrage movement. In the poem, a husband laments that his wife simply can't understand the importance of politics because she is too concerned with providing for her family. This is the only poem selected for this standard. It illustrates how, from women's perspective, men who were involved in politics did not understand that women's involvement in public affairs would benefit the family, not damage it.